I just came back from a trip to Wal-Mart (or Wally World as we affectionately call it) where I went for a few odds and ends that we needed but was able to snag a copy of the Pufnstuf DVD for a mere $3.00!!! I popped it in as soon as we got back and my son immediately was into it! (Now I have a great excuse to tell my wife why I bought it!) Anyway, for those of you who are unaware of Pufnstuf, here's a little background: After creating costumes for characters in the live-action portion of The Banana Splits Adventure Hour, Sid and Marty Krofft were asked to develop their own Saturday morning children's series for NBC. They recycled a live puppet show that they had staged in the Coca-Cola pavilion of the HemisFair '68 world's fair in 1968, including several key characters from this show, such as Luther the dragon and a silly witch. The show centered on a shipwrecked boy named Jimmy (played by Jack Wild) who takes a ride on a mysterious boat to kooky Living Island, home of dancing trees and singing frogs. The Mayor of Living Island is a friendly and helpful dragon named H.R. Pufnstuf (renamed from Luther). Jimmy had been lured to the island with his friend, a talking flute named Freddy, by a wicked witch named Wilhelmina W. Witchiepoo (played by Billie Hayes). 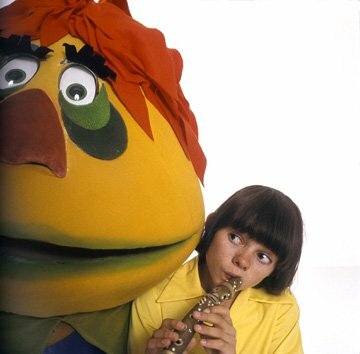 Jimmy is taken in by Pufnstuf, who is able to protect him from Witchiepoo. While the television series was still in production, the Kroffts were approached to do a film adaptation. The film retained most of the cast and crew from the series and featured guest appearances by "Mama" Cass Elliott and Martha Raye. The soundtrack from the film features both the score and songs. Originally issued on LP and 8-track when the film came out in 1970, it was never officially released in the US in the CD format. However, it was released on CD in the UK and featured an extra verse in the song, "Zap the World" that wasn't in the film. Here for you now is that release from the UK. Here is the soundtrack to "Pufnstuf". Enjoy! 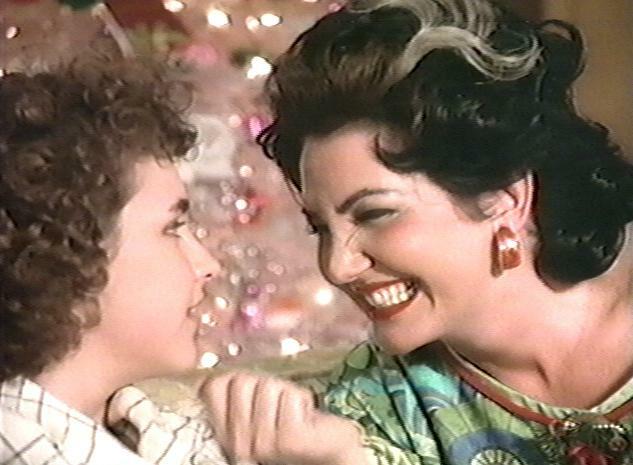 One of the best films of the 80s, hands down, is "Better Off Dead". Everything about it is priceless! The story, the characters, the acting, the script, etc. It's a film that can be quoted time and time again and people will always know what you are referring to. In fact, I had a hard time trying to narrow the references down to choose just one as the title of this post. Here are some of my alternative titles: Two Dollars, The International Language, Language Lessons, LOVE, You Like Raisons, I Remember How Much You Liked The Fudge Brownie in This One, Pat Pig, Putting His Testacles All Over Me, The K-12, KEYS! . . . Anyway, here is the soundtrack which features ten tracks from the film. As an added bonus, I've also included some songs that were featured in the film but not put on the soundtrack (including Van Halen's "Everybody Wants Some"). Enjoy! I just saw an interview with the great, Roger Waters the other day where he was talking about bringing a production of "The Wall" on tour within the next year or so. 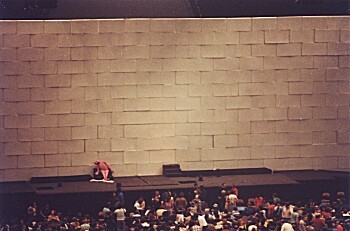 I have always wished that I could have been there back in 1980 when the infamous Pink Floyd's The Wall tour had been in motion. At the time, I was too young to even know who Pink Floyd were, let alone go to a concert by them (a 9 year old had more important things on his mind). I do remember when the album came out because I remember it being prominently displayed in the local Caldor (for those of you who don't know what that is, it was an amazing department store that was the precursor to today's Wal Mart). As I grew into a young teen, I went through my obligatory Pink Floyd phase and listened to and watched The Wall so much that I can still quote the most obscure scenes in the film. During my "Floyd phase" I became the proud owner of a bootleg of one of the concerts on The Wall tour and was thrilled at the notion that I held in my hand a piece of history (not to mention some songs that were not on the original album but were in the film). I'm incredibly psyched to see that Waters is bringing that show out on the road again and I hope that I can be in a position to see it when it comes to the East coast in October. Until then, I'll just keep listening to that bootleg that I got all those years ago. And you can too. Here is "Pink Floyd's The Wall: Live At Nassau Colisem, New York, NY 1980." Enjoy! Since I recently shared the great Johnny Rivers album, "Changes" with you, I thought it would be good to share another great Johnny Rivers album with you. 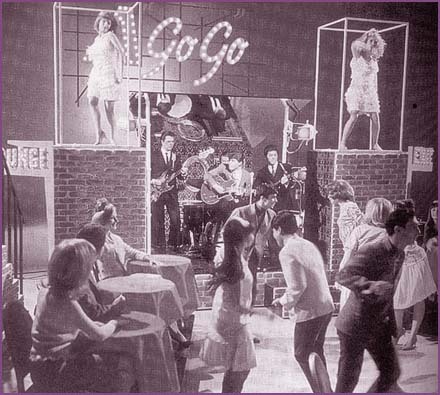 This time around we go back to 1966 with an album that ended Johnny's string of live recordings at the Whiskey A-Go-Go. The whole thing started in 1964 with "Johnny Rivers At The Whiskey A-Go-Go", continuing with several more albums of songs recorded at the infamous LA hot spot. In fact, out of the six albums he released from his start in 1964 to "Changes" in 1966, only two were not recorded at the Whiskey. The last of these great live albums was " . . . And I Know You Want To Dance". This album has been a favorite of mine since as long as I can remember. It was one of a handful of Johnny Rivers' records that were given to me by my dad back in the seventies when I was just a wee youngster. The difference between this and "Changes" are so great it's like comparing night to day. This is the original, three-piece rock and roll sound that helped make Johnny a favorite amongst the Go-Go crowd. Hard rockin' with an energy that makes you want to get up and dance, here's Johnny Rivers' ". . . And I Know You Want To Dance". Enjoy! 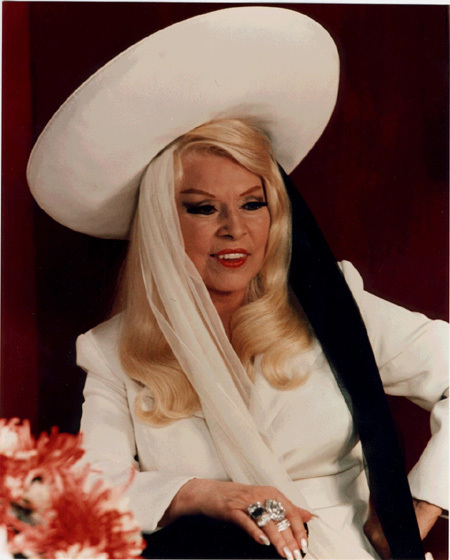 This is the one and only Mae West singing her heart (and a few other body parts) out on her famous album, "Way Out West". In addition to her breath-taking versions of Day Tripper,When A Man Loves A Woman, Twist and Shout and Treat Him Right, I've added some bonus tracks from her early film days to fill out the album and I've also included the original artwork as well as some extras there, too! Enjoy! Yesterday afternoon I put a Johnny Rivers album on my turntable that I had never listened to before. It came from a collection of records once owned by a roommate of an ex-girlfriend. She had given me a stack of records years ago and I just added them to my collection without even listening to them. Over the years as I have gone through and weeded out albums that I don't care to keep, this album has stayed on the basis of Johnny Rivers being a gigantic part of my youthful record playing. I have owned three Johnny Rivers records since I could walk: Live At The Whiskey A-Go-Go, And I Know You Want To Dance and Folk. All three were spun over and over when I was but a mere youth in the seventies. That and the fact that the album in question contained his gigantic hit, "Poor Side of Town" kept the album in my collection. When I listened to it yesterday for the first time, I was expecting to simply not like it and thus, finally boot it from my collection. What I found was not just a mere album of schmaltzy songs but a phenomenal sounding record containing amazing arrangements of classic songs. Gone is the classic Johnny Rivers basic guitar-bass-drums arrangement that had characterized his prior albums. His core trio sound is still there but is tastefully augmented with horns and understated strings on certain songs, and virtually displaced by some intriguing solo instruments elsewhere. The album opener, "By the Time I Get to Phoenix" (in its very first recording) shows him managing to sound like a full-fledged rocker despite the presence of violins and flute. "A Taste of Honey" gets a treatment that manages to intersect Calypso and rock. "Cast Your Fate to the Wind" gets perhaps the most soulful and distinctive treatment in its history, complete with its seldom heard lyrics. Even Rivers' pop covers, "Strangers in the Night," "The Shadow of Your Smile," "Softly As I Leave You," and "The Days of Wine and Roses," are successful in showing off his singing in a different vein, and the softer, finer nuances that his voice could express. This album rode the charts longer than any other Johnny Rivers LP. It's essential listening for Rivers fans as well as '60s rock enthusiasts. Which is why I bring it to you today. 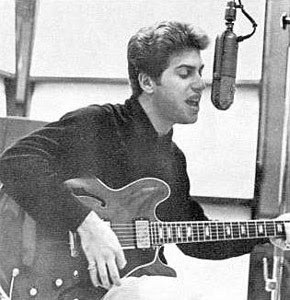 Here is Johnny Rivers' "Changes". Enjoy! I am a huge fan of the B-52's. Loved them when I was a kid, loved them in college and love them now. I've seen them in concert several times and it's always a blast! They are truly the greatest party band ever. I remember in college, the campus radio station promoted them coming to perform on campus. My friend Milo proclaimed, "You really have a great band here. Excellent work!" I couldn't have agreed with him more. Back then, the band had whittled down to just three of the five original members. That show featured Fred Schneider, Kate Pierson and Keith Strickland. Cindy Wilson had taken some time off to raise her family so Julee Cruise was filling in for her. I was a little disappointed as Cindy was my favorite member of the band but it still was an amazing show. In later years, when Cindy rejoined the group, I have been fortunate enough to have seen them a number of times. I still wish I could have seen them back in the day when Ricky Wilson was still alive but unfortunately I was too young to have partaken in that scene. That hasn't stopped me from seeking out boots from those glorious days of the birth of new wave. Today I share with you one of those boots. 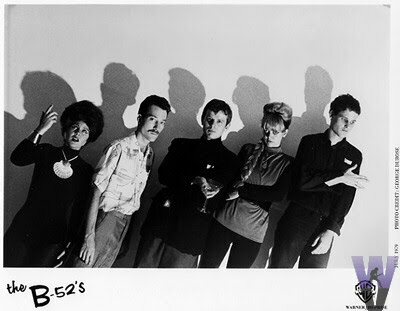 Here is The B-52's cranking out the party in Chicago from 1979. Considering the age of this show, it sounds amazing! I hope you think so as well. Enjoy! 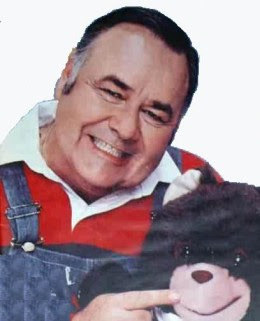 One of the greatest ad lib comedians of all time is, without a doubt, Jonathan Winters. He paved the way for many of the greats that would follow including Robing Williams and Jim Carey amongst others. His comedy knows no bounds. He is just as funny off stage as well as he is on and there are those they say that Winters is always "on". What a lot of people don't know is that Jonathan Winters owes his entire career to a lost wristwatch. About six or seven months after getting married to his lovely wife, Eileen, the watch (which was a gift from him to her) was nowhere to be found. The newlyweds were pretty down on their luck at the time and couldn’t afford to buy another one. Then Eileen read about a talent contest in which the first prize was a wristwatch, and encouraged Jonathan to “go down and win it.” She was certain he could… and he did. Because of his performance he was given a job as a local DJ where he was supposed to introduce songs and announce the weather. Gradually his ad libs, personas and antics took over the show. To think that if he had never lost that watch, the world might never have known who Jonathan Winters was is down right unbelievable. Thankfully that wasn't the case and we get to enjoy Jonathan's comedy record, "The Wonderful World of Jonathan Winters" here at the World of Wonder. Enjoy! One last note: It was announced not that long ago that JW will be providing the voice for Papa Smurf for the new Smurfs film! Here is another great single from my dad's collection. It's a classic hit from The Hollywood Flames, a band formed in 1949 in Watts, Los Angeles. Over the years the group, under various names, is believed to have recorded for about nineteen different record labels, including Aladdin and Specialty. 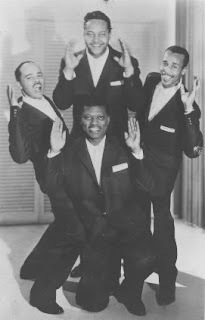 By 1954, the group were usually billed as The Hollywood Flames, but also recorded as The Turks, The Jets, and The Sounds. In 1957, the group released "Buzz Buzz Buzz", which reached #5 on the R&B chart and #11 on the pop chart. They continued to record for several more years, with a fluctuating line-up before splitting up around 1967. Their buzzing hit gained new life when it was featured in the Johnny Depp film, "Blow". Here is that single featuring the hit, "Buzz Buzz Buzz" backed with "Crazy" (not the Willie Nelson penned song). I love this single and I hope you do as well. Enjoy! Meinhardt Raabe, the little person who played the coroner of Munchkinland passed away Friday morning at the youthful age of 94. In his honor, I thought I would repost the original release of the soundtrack to The Wizard of Oz. 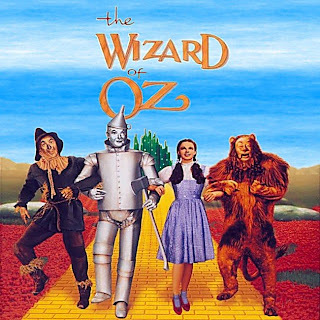 I was thinking that of with all of the Wizard of Oz CD releases out there, they have still never released the soundtrack the way it was originally put out. It's great that there are boxed sets of all of the music and it's great that there are single discs that also showcase more of the music than most people remember but what's missing is the dialogue in between the songs. The original release had that. I loved it. When I received my copy one Christmas, I was ecstatic and was even more thrilled to listen to it over and over again. Remember, this was when they only showed the film once a year on TV and it was long before anyone thought they would ever own it to play whenever they felt like it. This was the only way to enjoy the film at your leisure. Anyway, I have been meaning to post the original version of the soundtrack ever since I started the World of Wonder but have never had a chance to do so. Until today! Here is what I like to call my "Super Mega Wizard of Oz Soundtrack Post!" I present for you the original LP release of the soundtrack as well as a re-post of the Lux Radio Theatre production of "The Wizard of Oz" from Christmas Day, 1950. By then, Judy was 28 and was the only original cast member of the MGM film to be in this Lux program. Rounding out the cast were: Herb Vigran (Tin Man), Hans Conreid (Scarecrow), Ed Max (Lion), Herb Butterfield (Wizard), Betty Lou Gerson (Good Witch), Noreen Gammill (Wicked Witch) William Johnson (Uncle Henry), Ruth Perrott (Auntie Em), Gil Stratton (Mayor) and David Light was the voice of Toto. Now, just when you are saying, Dartman, thanks for this great post, there's more! I am also re-posting the 70s disco version of the Wizard of Oz by Meco! (I told you it was a super post!!!) So, here is the original soundtrack as it was originally released, the Lux Radio version from 1950 and the disco version by MECO! But wait!!!!! If you act now, you also get a repost of "Snagglepuss and The Wizard of Oz" children's record! All right here at Dartman's World of Wonder! Enjoy! On June 23, 1963, Disneyland opened its first attraction to feature Audio-Animatronics. 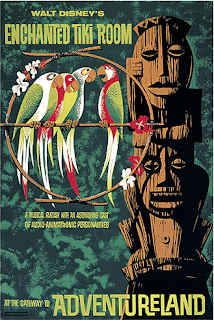 The attraction was originally sponsored by United Airlines and was entitled, "The Enchanted Tiki Room". The whole concept was rooted in an era when all things Polynesian were popular and as a result, the attraction was an immediate hit. The idea is simple: a Hawaiian-themed musical show "hosted" by four lifelike macaws. There's "José", voiced by Wally Boag; "Michael", voiced by Fulton Burley; "Pierre", voiced by Ernie Newton andv"Fritz" whose German accent is provided by the great, Thurl Ravenscroft (who also voices Hawaiian god "Tangaroa" near the attraction's entrance). If you attended "The Enchanted Tiki Room" in the late 60s and wished you could take the experience home with you, the entire show was released on an album that was sold at the park. The first side was "The Enchanted Tiki Room" while the flip side gave you the soundtrack to "The Adventurous Jungle Cruise". That's today's sharity! Here is the original soundtrack to both of those attractions! BTW, the attraction in Anaheim still features the original voices while the one in Orlando features newly recorded voices and has new songs that reflect newer disney characters and films. The name has even been changed to "The Enchanted Tiki Room: Under New Management"! Anyway, here's "The Enchanted Tiki Room". Enjoy!